We know the pain of handling two textures – that’s what prompts us to get fresh relaxers anyway! The only way to survive this two-textured phase, without hiding under a beanie or head scarf for six months is to moisturize. Make sure that you spritz your hair daily with some good quality diluted leave-in conditioner like the Shea Moisture, aloe vera juice, rose water and conditioner. Don’t forget to deep condition your hair once a week. I’ve come to learn that products do not grow your hair, TLC does. I will recommend deep condition with a mixture of 2 tbl spns mayo, 2 tbl spns olive oil, 1/4 cup aloe vera juice and 1/2 cup good quality conditioner (eg. El-Glittas) once a week. 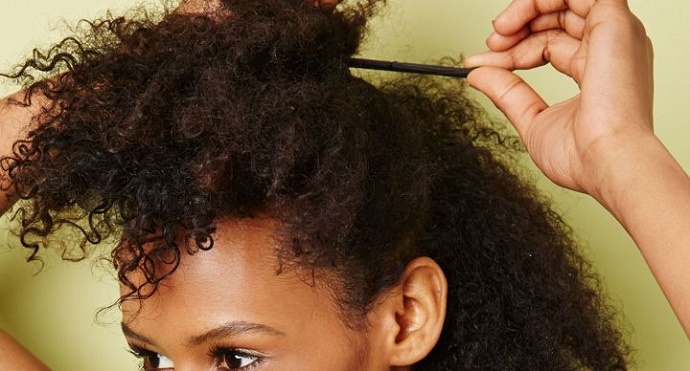 The line of demarcation refers to the point between your natural hair and your relaxed hair. For those of you with 4C hair, our hair is particularly prone to breakage while transitioning because our relaxed hair is the complete opposite of our relaxed hair. Protective styles are hairstyles that protect your hair from damage caused by too much sun or rain and mechanical damage like combing a lot and manipulation. As natural, protective styles are the secret to length retention and thickness. Low manipulation styles that favor both textures such as braid outs and twist outs are the best. These will better mask the different textures, and also ensure that you don’t comb your hair incessantly. If you struggle with patience, then you would preferably like to reach your goals overnight! The results come with time, and with time it will all pay off!